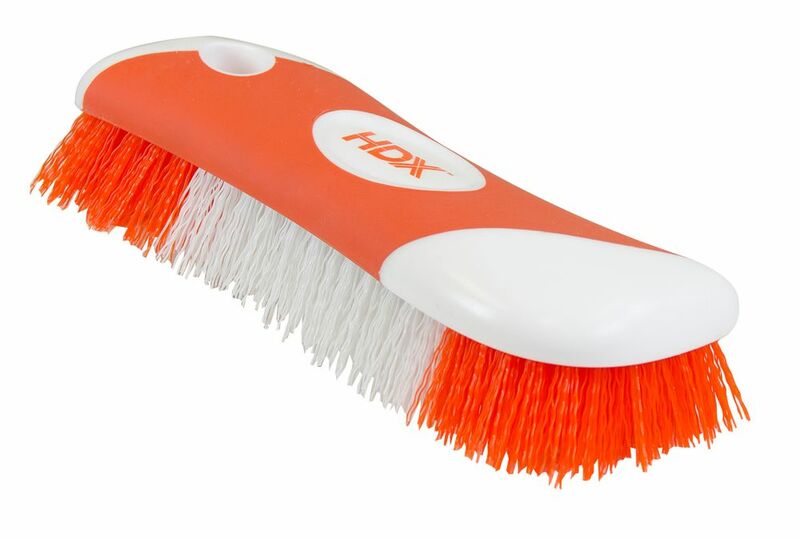 The stiff fibres of this brush are designed to withstand heavy use. Made for your toughest jobs, the Jumbo Scrub Brush features a patented no slip grip, and is ergonomically designed for easier use. A convenient hang-up feature provides easy storage. Designed with comfort and versatility in mind, the Quickie 2-in-1 Bar Brush fits comfortably in the hand for easy scrubbing of large surface areas. A removable detail tool built into the handle features a rubber tip scraper and brush, great for cleaning grout lines and getting into small crevices. An antimicrobial protection of the bristles reduces growth of odor causing bacteria, mold and mildew. Kitchen & Bath Scrub Brush The stiff fibres of this brush are designed to withstand heavy use. Made for your toughest jobs, the Jumbo Scrub Brush features a patented no slip grip, and is ergonomically designed for easier use. A convenient hang-up feature provides easy storage. Kitchen & Bath Scrub Brush is rated 4.6 out of 5 by 23. Rated 5 out of 5 by DickB from I bought this to scrub a outside deck and it did a great job! I liked the grip and the bristles ... I bought this to scrub a outside deck and it did a great job! I liked the grip and the bristles stood up very well.